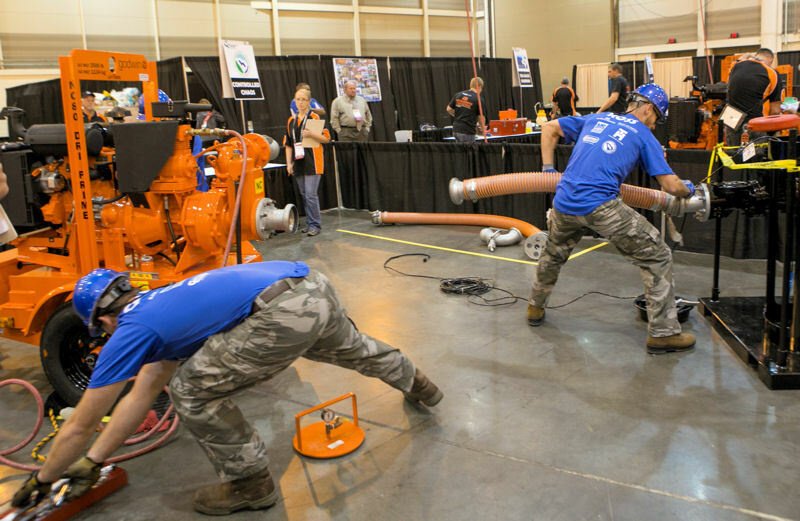 Patrick Ross and Kevin Ganley, members of South Carolina Water Environment Association team Controlled Chaos, compete during Operations Challenge 2014. Photo courtesy of Kieffer Photography. Troy Newton, coach of the Water Environment Association of South Carolina team Controlled Chaos, remembers watching fellow employees at his facility practicing for Operations Challenge. Newton thought it looked fun and joined the team in 1995. When Newton’s organization, the Charleston (S.C.) Water System, formed a team in 2014 with all new competitors, Newton stepped in as coach for the first time. “[It’s] my first time as a coach, and their first time at nationals,” Newton said. While Newton feels like he’s still a part of the team and is comfortable in the new role, he also found it difficult to convey the scale of the national competition to the newcomers. He also finds it difficult to not jump in to help compete. “You try to be a leader; you try to tell them what to expect, but it’s hard for these guys to grasp it until they actually get here,” Newton added. He distinctly remembers the first time he saw the national competition. “It blows your mind. You come here; you see all these vendors, and you’ve got multiple playing arenas … Everything is so much bigger,” he said. 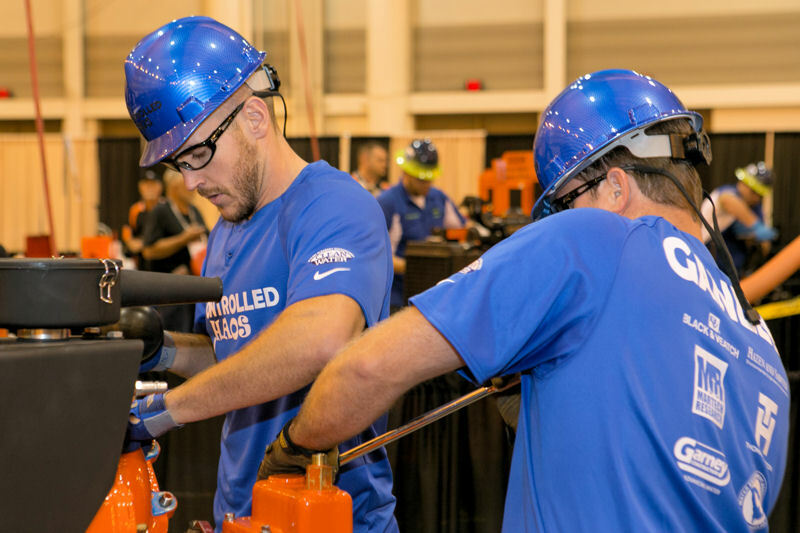 Ganley and Ross work together duing the Operations Challenge 2014 Maintenance Event. Photo courtesy of Kieffer Photography. During the national competition, Netwon started motivating his team in the morning. He gave them information about how the other teams have performed. The team arrived at the competition early on Monday; they scheduled time to take a closer look at each event to examine the placement of and to get a feel for the tools and equipment, Newton explained. The biggest benefit of participating in the competition for Newton has been networking with other operators. “I’ve met so many people, I love it,” Newton said. “It’s like a family atmosphere.” Newton admits that he may get back on a team in the future, but for now he is enjoying the new role and plans on continuing to coach. During Operations Challenge 2014, Terminal Velocity made history by placing first in Division 1 for the fifth consecutive year. Team HRSD joined Terminal Velocity at the top by securing first in Division 2. Both are Virginia Water Environment Association teams. And read Operations Challenge 2014 coverage in WEF’s magazine, WE&T, which includes articles on the Division 1 and 2 winners, perspectives from a Laboratory Event judge, a training event held for the team from Argentina, as well as steps and results of all the events.